Nigerian court clears Senate president of asset-declaration charges – Royal Times of Nigeria. Nigeria’s Supreme Court on Friday dismissed all outstanding charges against Senate president Bukola Saraki related to alleged false declarations of assets. Saraki, one of the country’s most powerful politicians, has been dogged by accusations of misconduct and investigations since he became president of the upper house of parliament in 2015, though none has led to convictions. The original charges related to allegations that Saraki had falsely declared his assets when he was a state governor from 2003 to 2011, to which he had pleaded not guilty. A Code of Conduct Tribunal cleared him of the charges in June 2017, saying the case lacked substance. The Supreme Court upheld his appeal on Friday against a decision in December last year that he should still face three charges. “I am happy that I have been vindicated. The Supreme Court has affirmed that there is no evidence of false declaration of assets,” Saraki said in a statement. 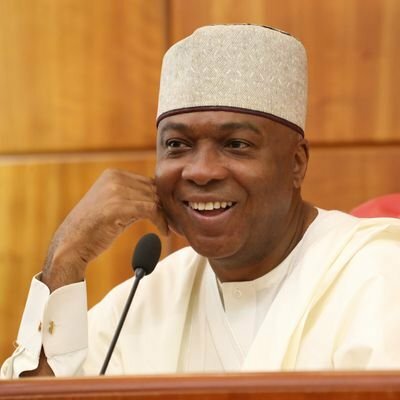 Saraki ran unopposed for the post of Senate president, mainly with the support of the opposition even though he is a member of the ruling All Progressives Congress. He was not the APC’s preferred candidate, which led to strains in his relationship with President Muhammadu Buhari. A presidency spokesman declined to comment. Saraki’s battles with the presidency are not the only fractures to have emerged in the APC before elections early next year. On Thursday, a faction of the APC split, declaring that it no longer supported the Buhari’s government and threatening his hopes of securing a second term.